It’s been a hot minute since I’ve written much on anything boogaloo. I haven’t abandoned my interest but I basically got backlogged with so many Latin soul records over the last couple of years, it had the weird effect of suffocating my interest in actually writing about them. Thankfully, Torrens LP – a longtime “want” – finally came through and having only been acquainted with the title track, I didn’t realize how frickin’ great this LP was. Had I ever done some pre-research though, I should have known: the album was arranged by none other than the great Louie Ramirez, hands-down, one of the top (and still strangely undersung) boogaloo talents of his time. 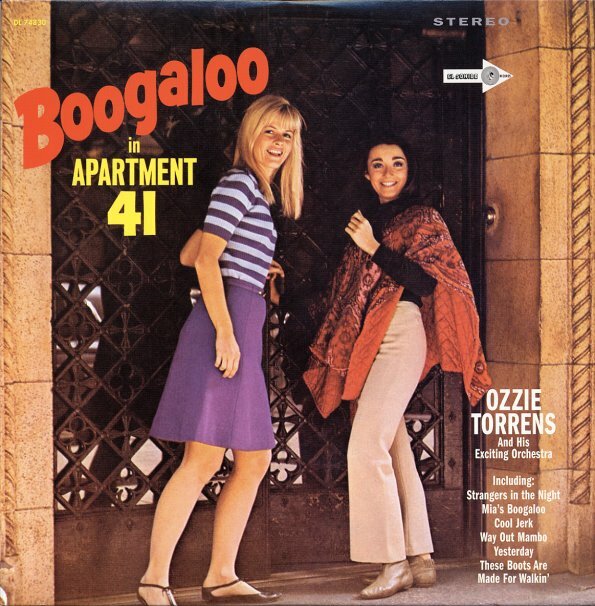 I can’t be certain but this may have been one of the first boogaloo projects that Ramirez tried his hand at; the album was almost certainly recorded in late 1966, making it part of the first wave of boogaloo LPs recorded. From what I can pull together, Torrens was one of three Latin soul artists that Decca producer Richard Marin (aka Bobby Marin’s brother) brought to the label around 1966 1 Notably, playing piano on this: Charlie Palmieri who dabbled in boogaloo himself even though, reportedly, he (and especially brother Eddie) found the style to be beneath them. “Mia’s Boogaloo” wasn’t just arranged by Ramirez; he wrote it too. It has a sassy swing to it and all said, is more of a mambo than a classic boogaloo but regardless, it smokes. In contrast, “Day Tripper” couldn’t be anything else than a boogaloo: you got that signature Beatles’ riff plus other R&B elements but with an Afro-Cuban makeover. Love how this one opens – salvaje! Since I was dipping backwards anyway, figured I should show some love to Pete Rodriguez. 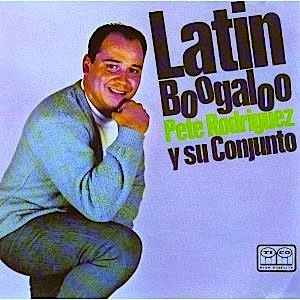 While his label mate at Alegre, Richie Ray, was likely the first to use the term “boogaloo” in a Latin music context, Pete wasn’t far behind in capitalizing. His first boogaloo project – appropriately entitled Latin Boogaloo – was likely recorded in the late summer/early fall of 1966, hot on the heels of the Joe Cuba Sextet blowing things up with “Bang Bang.” Rodriguez himself enjoyed his biggest success with 1967 singles on Alegre such as “I Like It Like That” and “Oh That’s Nice” but when I first heard Latin Boogaloo, it was apparent he really had a mastery of the sound from jump. “Pete’s Boogaloo,” for example, is a perfect sounding descarga boogaloo and had he put the lyrics in English, I wonder if he might have gained some traction even earlier; I think the song is banging.3 Honestly, all historical import aside, the main reason to cop the LP are for the descargas. There’s three in total (four if you include “Pete’s Boogaloo”) and I included “Organizate” to lend a sense of how slick the conjunto was with this rhythm. that torrens lp is slept on for sure… i scored that reissue floating around 5 or so yrs. back. If I remember correctly, we used Ozzie Torrens as the artist because Louie had contractual obligations with Mercury at the time. Ozzie was Louie’s conga player. It was Louie’s album. We recorded other albums for Decca at that time. My brother, Richard, who died two months ago, was responsible for many Boogaloo recordings and got Louie and I together as a writing team.